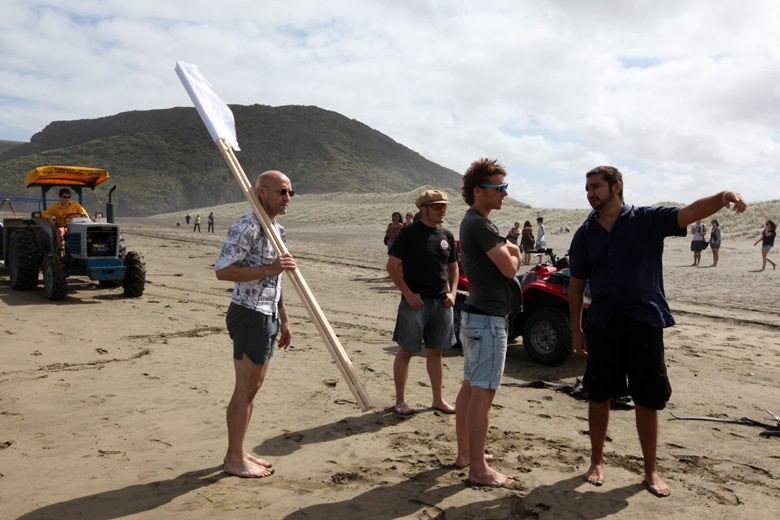 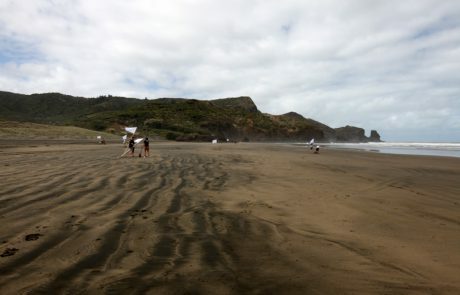 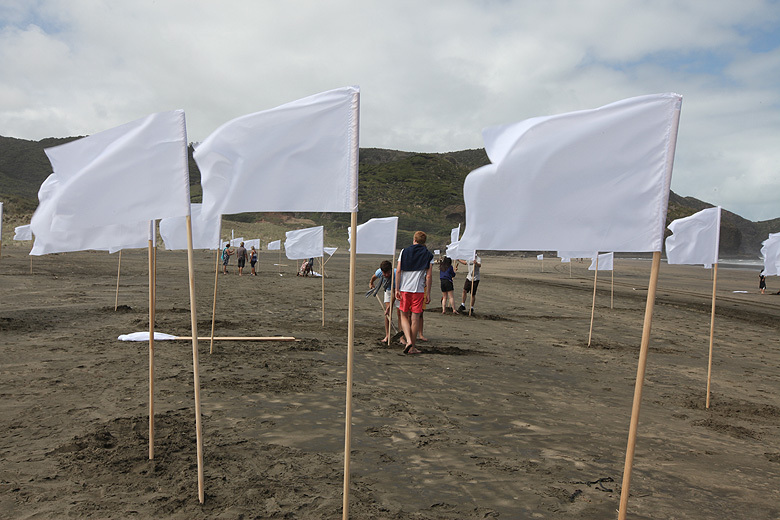 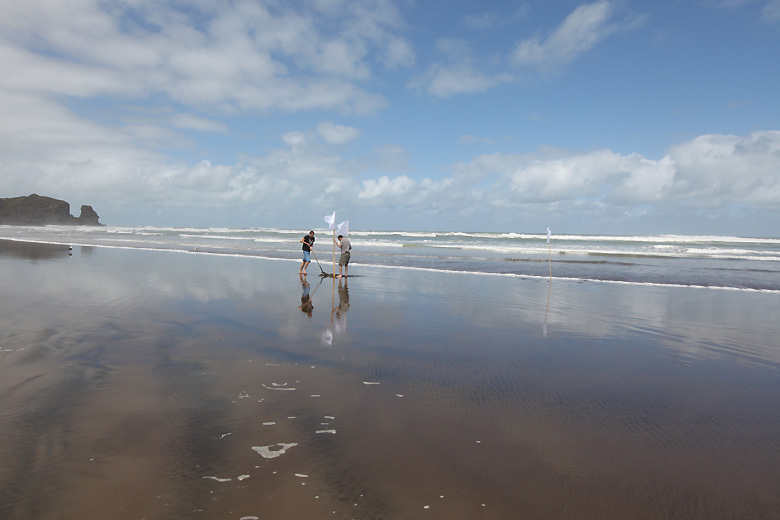 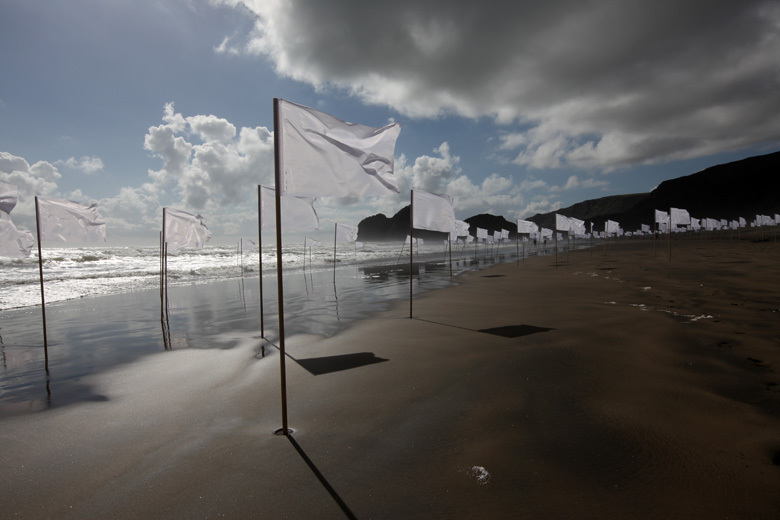 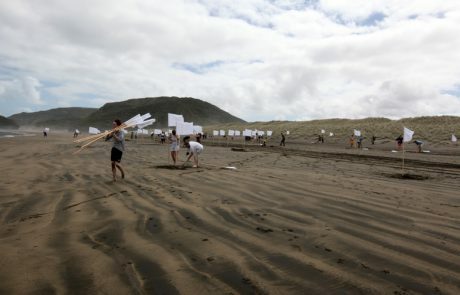 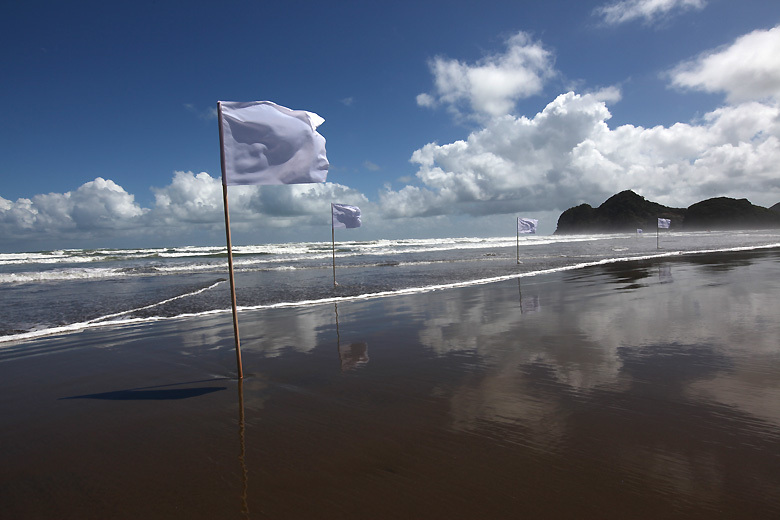 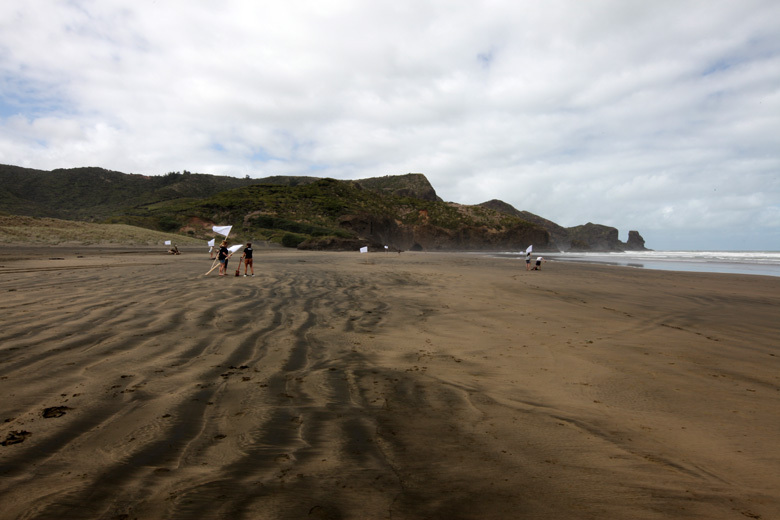 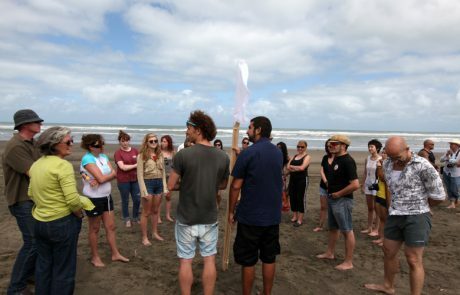 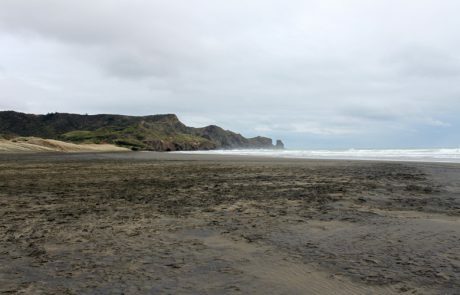 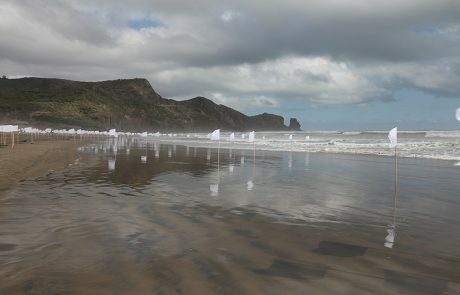 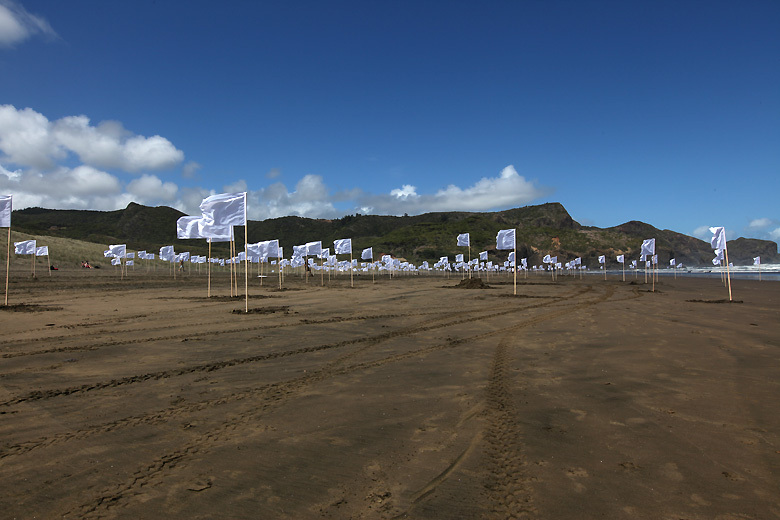 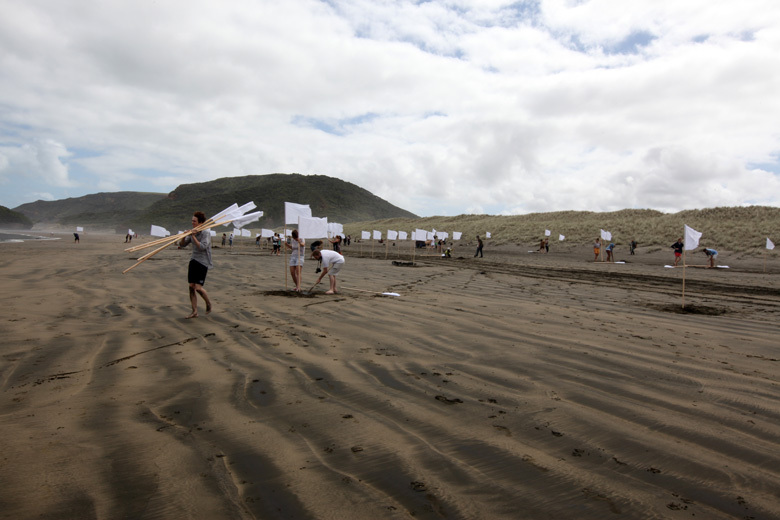 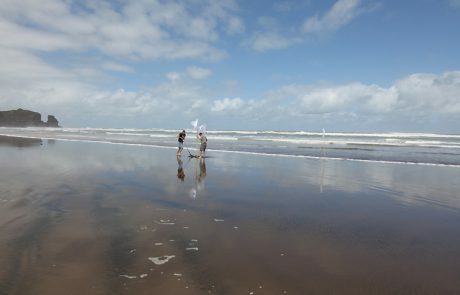 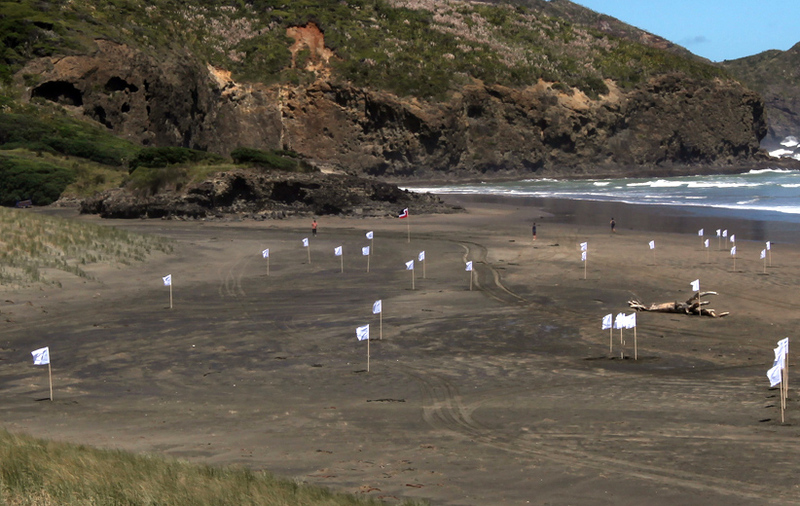 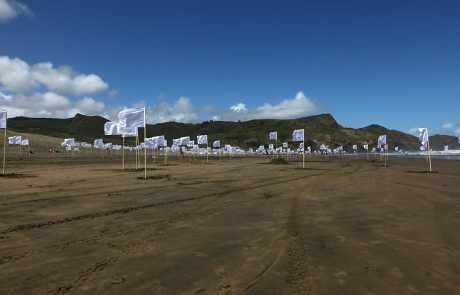 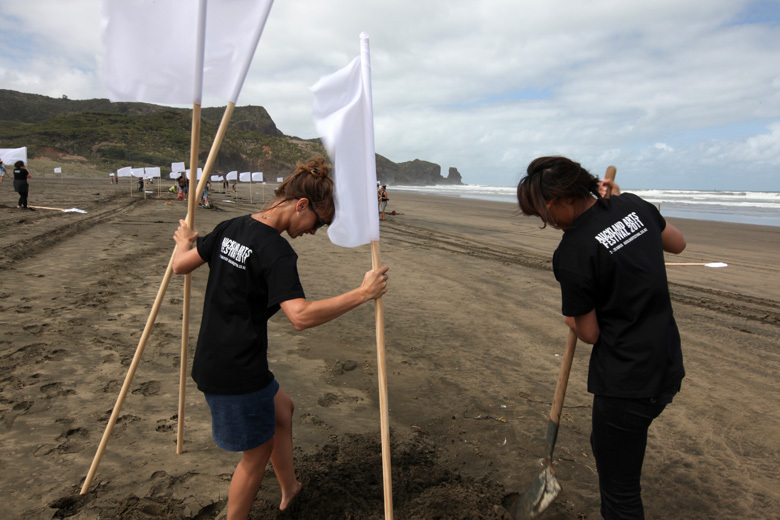 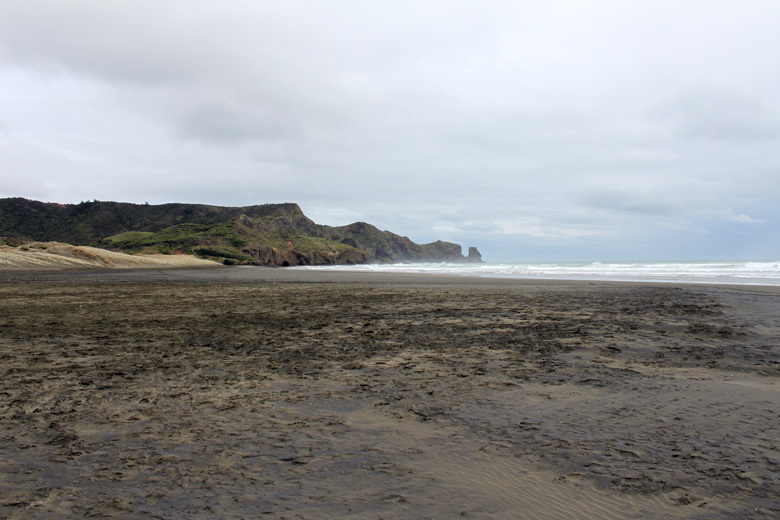 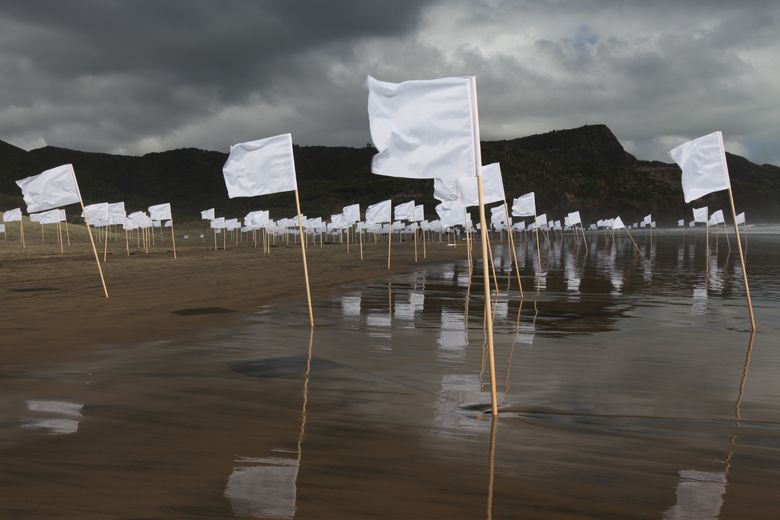 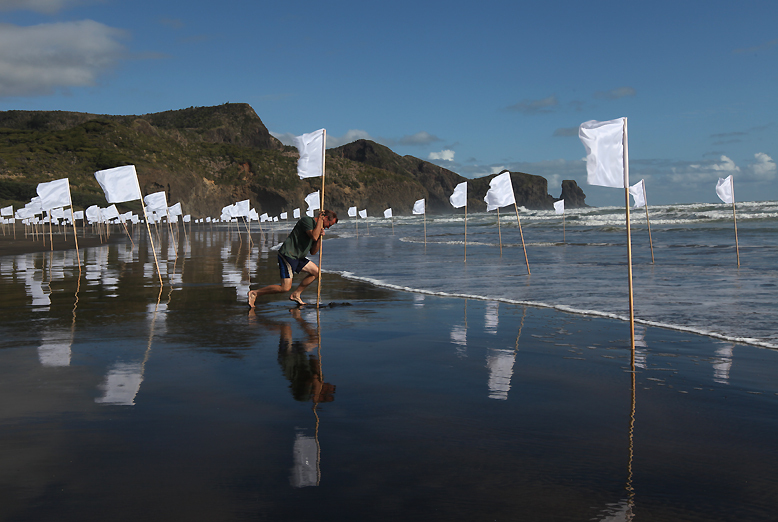 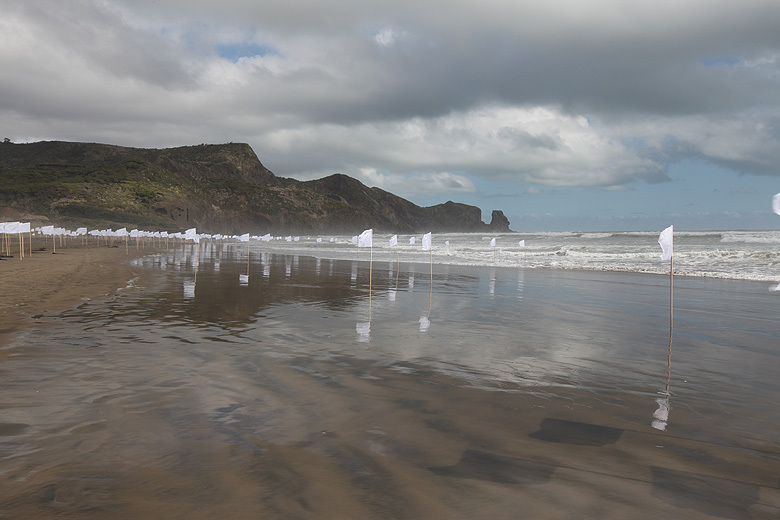 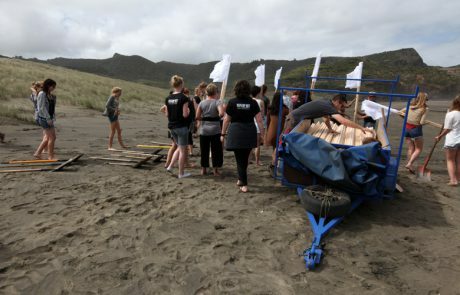 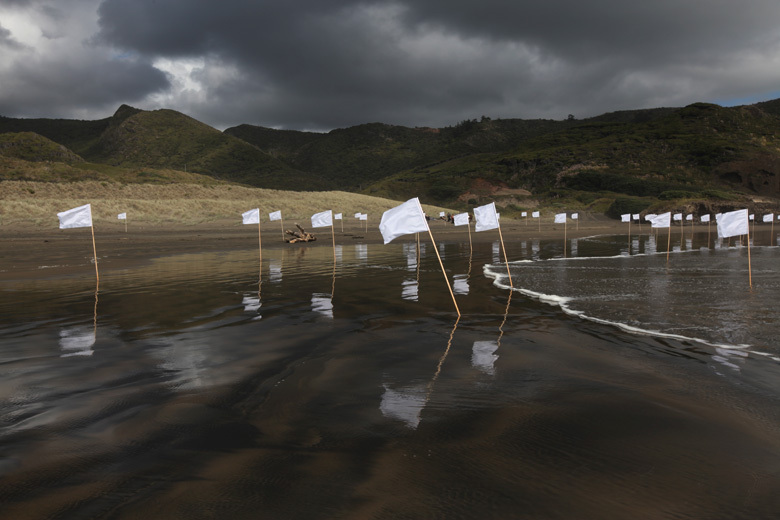 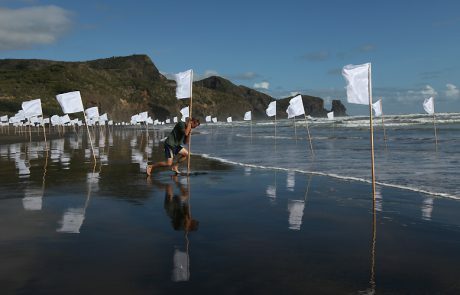 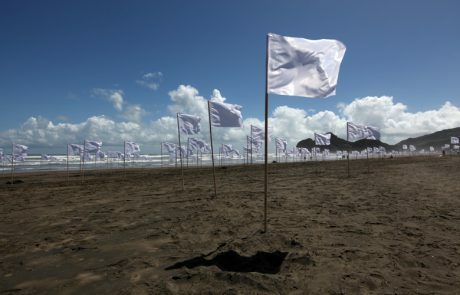 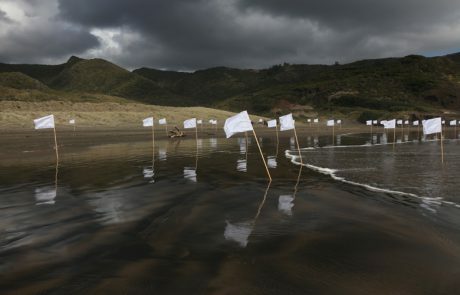 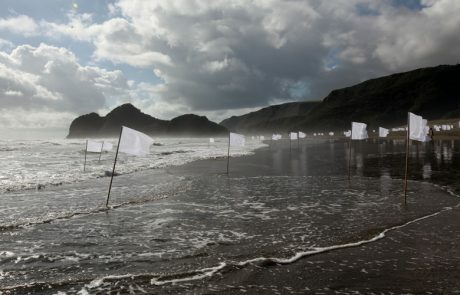 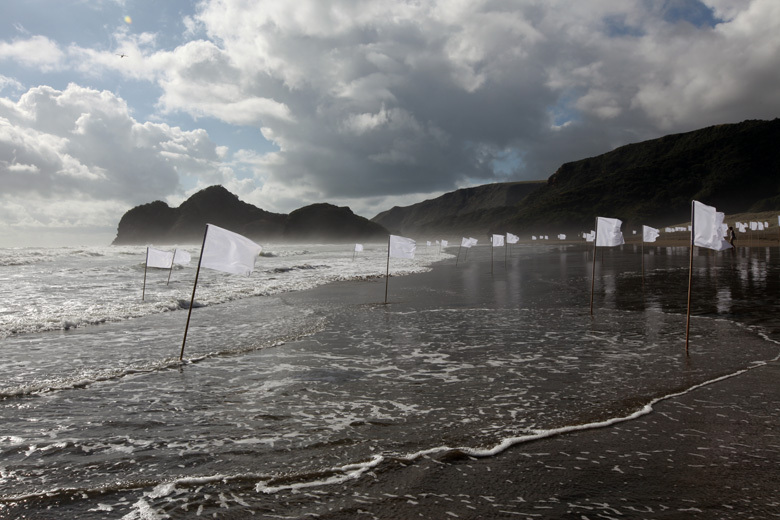 On 26 February 2011 the public was invited to spend a day on New Zealand’™s Te Henga / Bethells Beach, to assist the artist in planting 500 white flags in the sand. 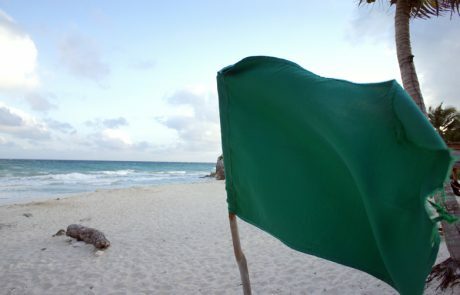 At the close of the day, the flags were removed and brought to the city to be re-installed in an enclosed space. 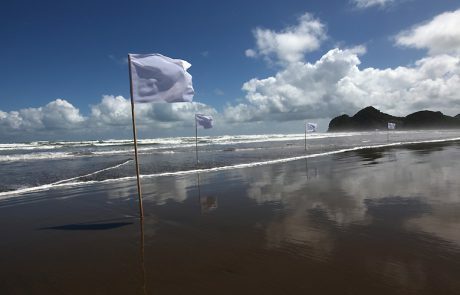 By the time of the British colonization of New Zealand white flags were used as landmark to delimit land ownership. 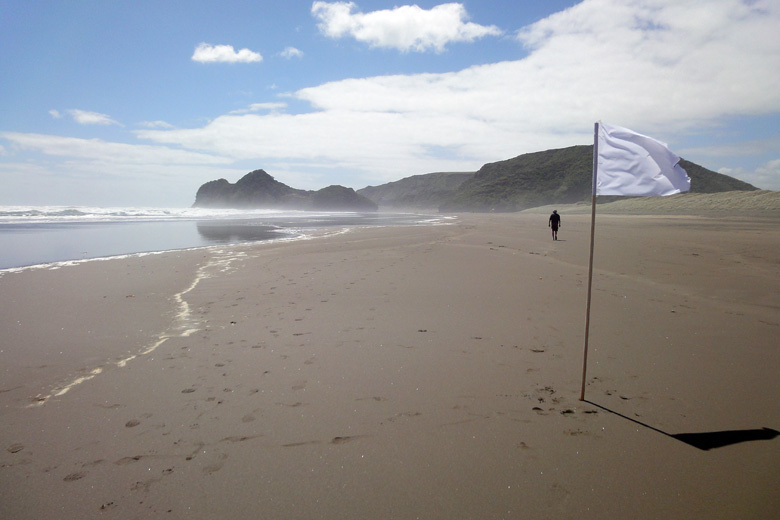 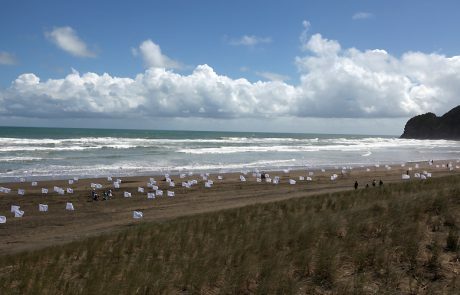 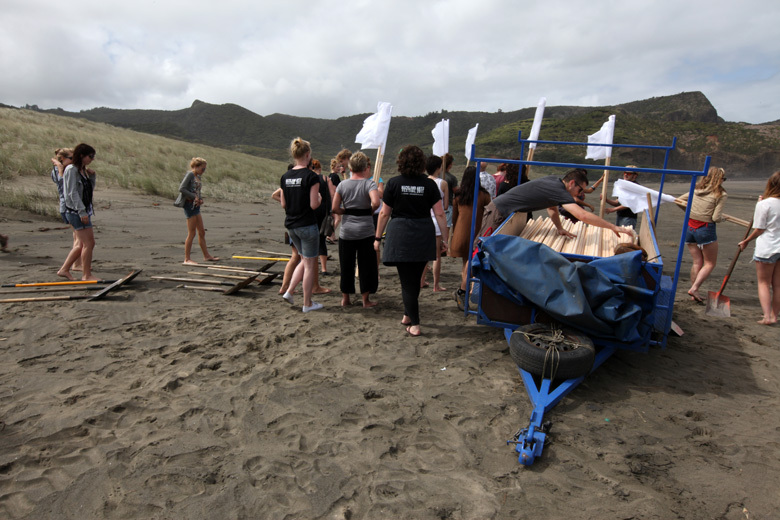 During the day of the action at Te Henga / Bethells Beach a spontaneous symbolic gesture occurred, when a MÄori Tino Rangatiratanga flag was briefly planted amongst the white flags by a visitor to the beach. 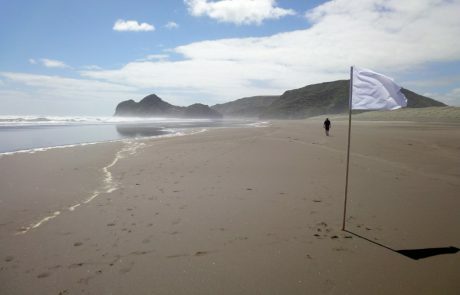 This flag has a significant history as a symbol of MÄori ambitions for self-determination and land rights, flown over the years at many protests. 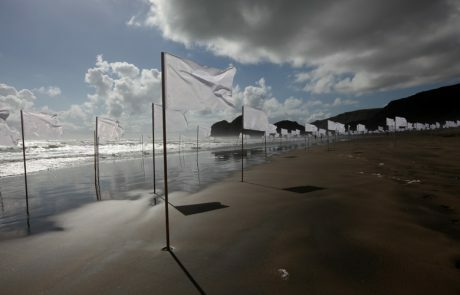 It reinforces the politician-criticisms intentions of the White Noise.